Purpose-built to streamline your audit universe. AuditBoard offers a fully integrated platform for SOX compliance, operational audits, compliance and ERM. With AuditBoard, enterprises can collaborate, manage, analyze and report on critical internal controls data in real time. Automate your SOX compliance process in one intuitive, easy-to-use platform. Save time and resources with our powerful, automated workflow and task management tools. 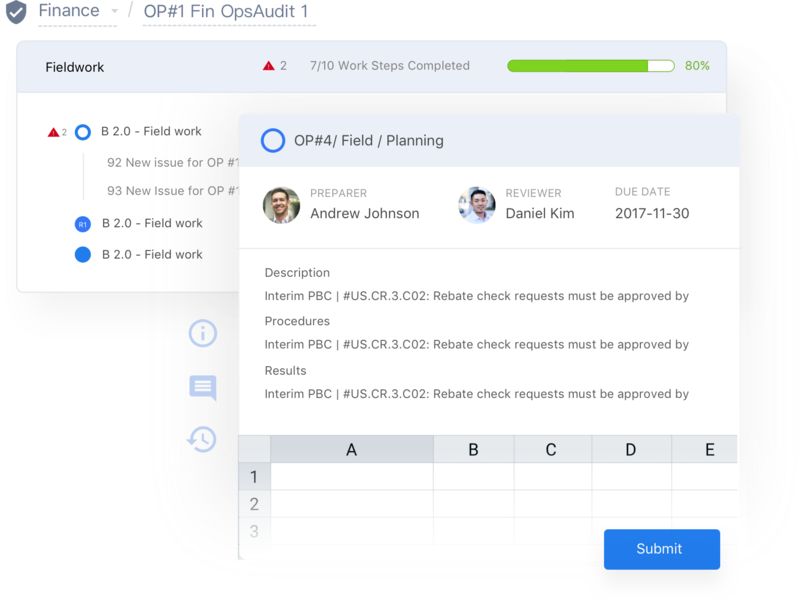 Collaborate with your team and manage audit planning, fieldwork and reporting. 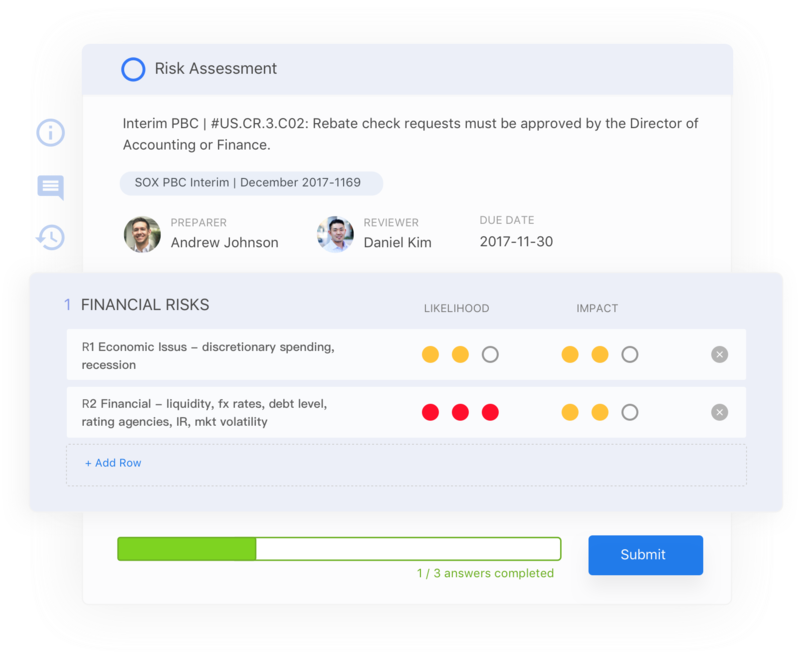 Get everyone together on one simple platform with 360-degree visibility into your entire audit and compliance universe. You’ll see it in the details, like having a single source record and control libraries that incorporate audit best practices. 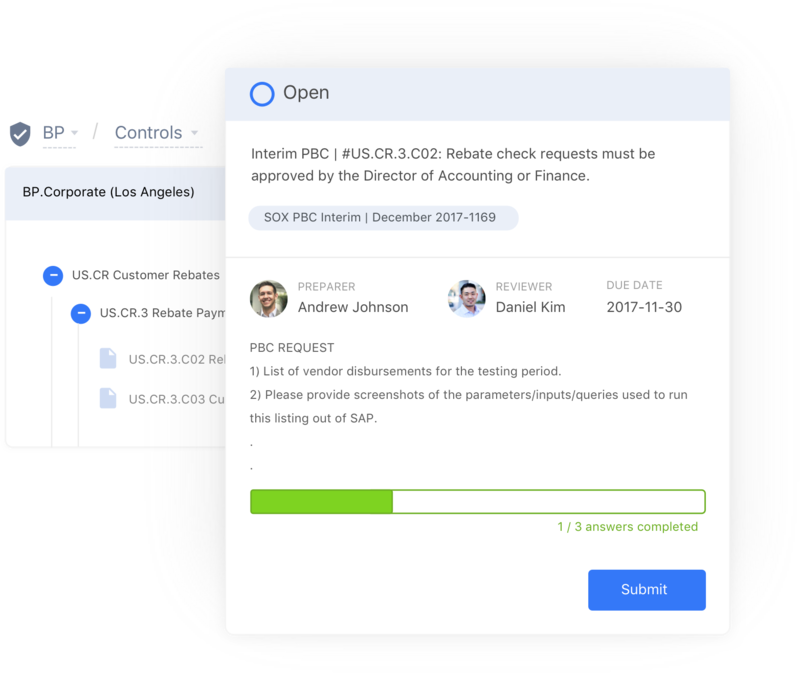 Our speed of implementation and easy-to-use interface allows audit teams to get working right away on more value-added audits. Get up and running in our tool right away, rather than waiting for 3-6 months for implementation. We work hard to ensure we are listening to our clients and continuously striving to improve our user experience. Our mission from the beginning has been to help make auditors’ lives easier. Hear from our customers how we have changed the way their teams work. Enterprise Risk Manager, Procore Technologies, Inc.